Is printing from your iPad at work a source of frustration??? Although our school system is making welcome changes to allow print capabilities this fall, printing and solid wi-fi connectivity can be source of frustration when using the iPad. As good as the iPad is, if you create content or documents and can’t seamlessly produce them, access them (my wonderful former IT guy, Marty Gross always used the word seamless which to me is extremely important – thank you Marty), then why do those kinds of tasks on the iPad?? They are possible but connectivity for access to iCloud, servers and printers are needed! Here is a new solution to that old, frustrating print problem! Print from all your iOS devices to virtually any printer! 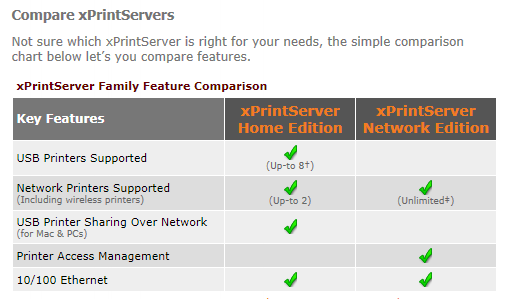 xPrintServer enables wireless printing for iOS devices such as iPads® and iPhones® using their native print menu. It eliminates the need to print through apps, install software, or email yourself documents for printing. And more importantly, you don’t need to buy a new printer because xPrintServer works with more than 4,000 top brand USB and network printers. 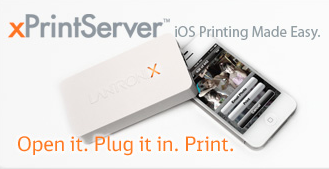 I know that there are other apps available for the iPad (Citrix app) for connecting server services to your iPad, but I sure was entertained and related to the video from Lantronix regarding the challenges presented when print capabilties are difficult! For home printing, purchasing a e-Print/Air print capable printer can do the job. For more information on their product visit the Lantronix website. More OT iTool Kit possibilities for seamless use of your or your client/student’s iDevice! This entry was posted in Accessibility, Computer Utilities, iPad, iPad Management, iPod/iPad Accessory and tagged accessories, iPad, iPad accessories, iPod/iPad Management. Bookmark the permalink.